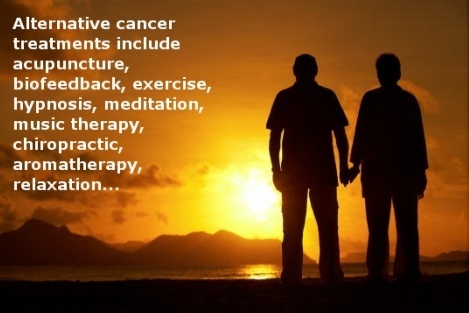 There are many alternatives to establishment medical treatment of cancer. Some alternatives replace establishment treatments; some claim to work in conjunction with it. Either way, you must realize you become responsible for the outcome when you choose an alternative. There's no one you can sue if it doesn't work. So it's vitally important you make it your job to be truly informed about any alternatives you consider. Make use of facts, rather than wishful thinking. Of course, the same is true of establishment medicine! All the pages in this section describe alternative treatments. This page covers some overview and general resources, a good start if you are considering a move in this direction.